Home / Tutorial / How does the Single-Key Access work? 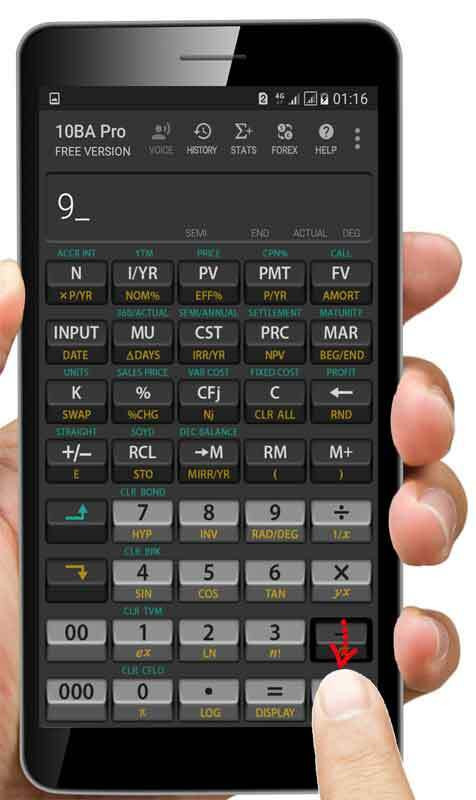 In addition to the main function, most keys in the 10BA Professional Financial Calculator has a second (yellow) function; and many also has a third (blue) function. For instance, the numeric key [ 1 ] has a second function [ ex ] and a third function [ CLR TVM ]. The traditional way to access the second and third functions is to prefix keystrokes with a shift key. For instance, to activate the [ CLR TVM ] first tap the blue shift up key, then tap [ 1 ]. What is the Single-Key Access? Now with the Single-Key Access feature, you no longer need to tap the shift key. 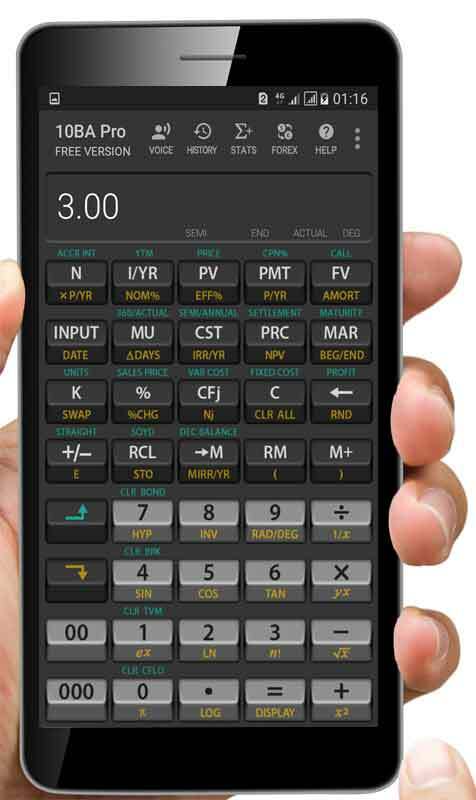 To activate [ CLR TVM ], which is the blue function on the [ 1 ] key, simply tap [ 1 ] then move the finger slowly in the direction of the blue function [ CLR TVM ] until you see the blue shift up icon on the calculator display. Then release. Yes, it is that easy. To activate the yellow function, do it the same way but move the finger in the direction of the yellow function. In the photo illustration below, we use the yellow function [ √ ] to calculate the square root of 9. I believe that once you try the Single-Key Access feature a few times it will become very natural and you do not want to do it the old way again. (Although we still provide the yellow and blue shift keys to users who still prefer doing it the old way). If you have tried a few times but it still does not work, most likely it is because you move the finger too fast. Do not flick the finger! Initially just move the finger very slowly until you get the hang of it which should probably take only a day of normal use. 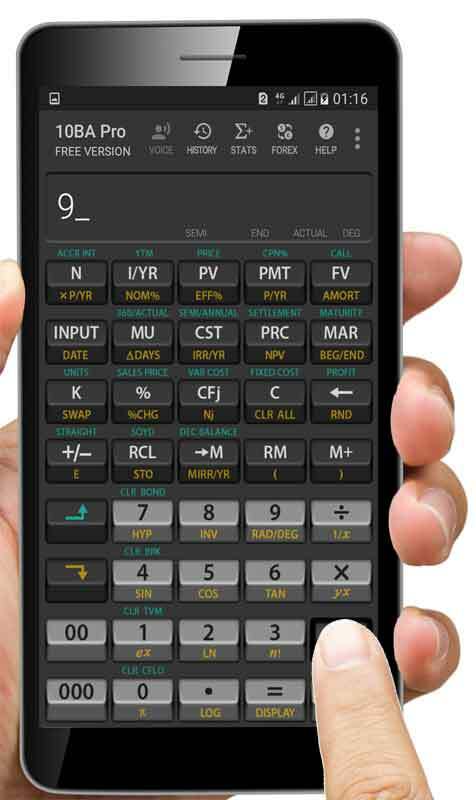 Suppose you would like to calculate √9. So tap the subtraction key and hold. Then move the finger slowly, without lifting it, in the direction of the yellow function. Keep moving until the yellow shift down icon appears at top left. Then release. The square root function is activated and the result 3 is displayed.